We present to you the Show for the Elephants! To start this show, Jackie tells us about the protest she participated in last weekend at the local Lilydale chicken slaughterhouse for the World Day for Farmed Animals. Then Jenni shares with us another Activist Tip of the Week! Our first interview is with Liam Cronin, a representative from Peta (People for the Ethical Treatment of Animals). 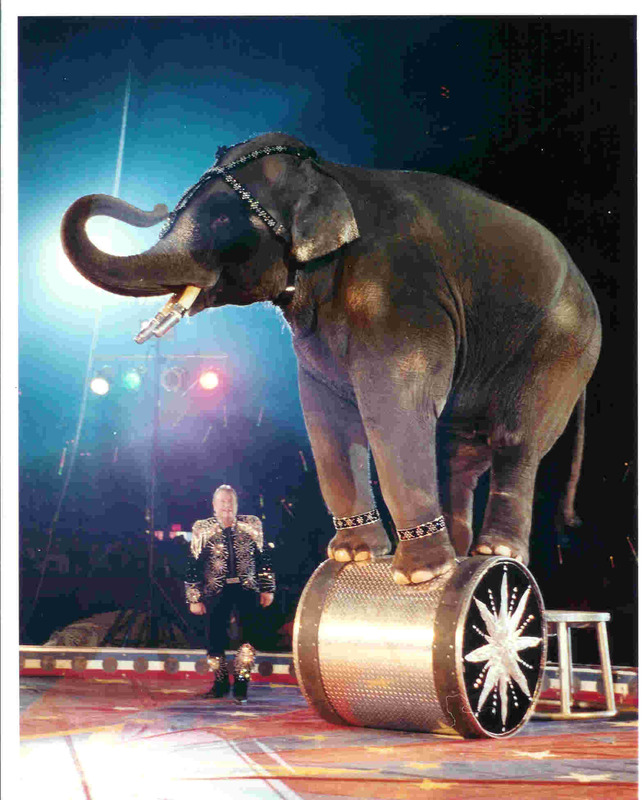 On this special show for the elephants, he talks to us about the treatment and abuse (by humans) and the lifespan of the elephants who are kept in captivity for decades of their lives in order to perform for circuses such as Ringling Brothers and Barnum and Bailey. We learn about the conditions these giant and sentient creatures must endure for the duration of their lives of enslavement. Peta has a campaign (and website) called Ringling Bros. Beats Animals, and Liam tells us about this campaign to raise awareness to the public about the atrocities that are happening in the circus towards the elephants, including some of the animal welfare violations that Ringling has been charged with in recent years by the USDA (U.S. Department of Agriculture), which entails being served with the largest fine ever in the history of U.S. animal abuse. You can take action to help the ailing elephants now, by signing this petition to urge the Secretary of Agriculture in the U.S. to retire all ailing elephants from Ringling now, and to place them in sanctuaries. A baby elephant with his Keeper. Our feature interview is with Rob Brandford, who is the head of The David Sheldrick Wildlife Trust chapter in the UK. 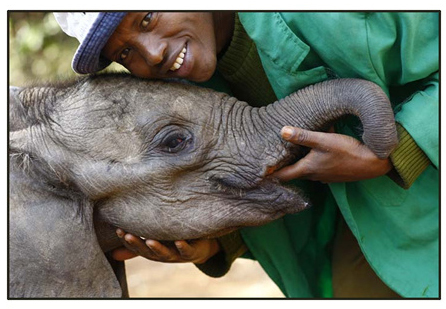 This charity runs a sanctuary in Kenya for rescued elephants and is today the most successful orphan-elephant rescue and rehabilitation program in the world and one of the pioneering conservation organisations for wildlife and habitat protection in East Africa. At the heart of the DSWT’s conservation activities is the Orphans’ Project, which has achieved world-wide acclaim through its hugely successful elephant and rhino rescue and rehabilitation program. The Orphans’ Project exists to offer hope for the future of Kenya’s threatened elephant and rhino populations as they struggle against the threat of poaching for their ivory and horn, and the loss of habitat due to human population pressures and conflict, deforestation and drought. In this interview, Rob tells us about the intricacies of what carrying out an endeavour like the Orphans’ Project entails, and we learn that baby elephants have many of the same nurturing needs as human-beings! Each baby elephant has a surrogate human “Keeper” who stays with the elephant, acting as a parent, until the baby is ready to be reintegrated into the wild about 2 years later. The success stories of reintegration are fascinating, and Rob tells us a few of them. The David Sheldrick Wildlife Trust is also the organizing body for the International March for Elephants, happening today, on October 4th, at 15 locations all over the world. The purpose of this world wide event is to bring awareness of the ivory poaching issues that are quickly decimating the elephant populations, at a rate of killing one every fifteen minutes! (that’s 36,000 a year!) If not participating in a physical march, you can be involved in the digital March for the Elephants – just visit here to find out how!